LUCI di GALA (LDG), a brand that envisioned a style that would capture even the most brief moments of celebration in life. 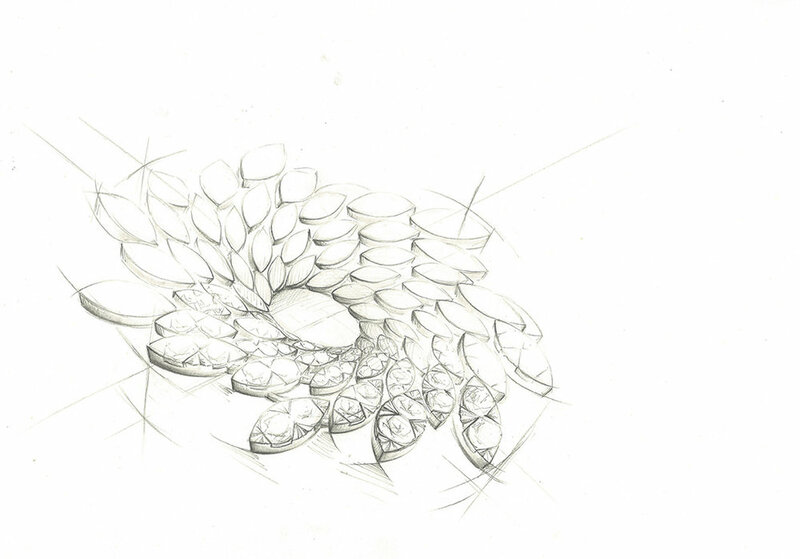 Our elite designers’ and master craftsmen’s imagination take after the illuminating diamonds and delicate gemstones. Inspired by the radiance and brilliance, LUCI di GALA is a brand that reflects the cherished moments often represented by fleeting streaks of light, a spectacular brevity so commonly associated with celebration. Featuring a chic and stylistic spectrum, LUCI di GALA actualizes the evanescent sparks, the insatiable flickers into unwavering perfection and elegance. Driven by innovative jewellery craftsmanship and artistry, LUCI di GALA undertakes the task of bringing you your own celebration. LDG, Luci di Gala, offers a wide selection of collections containing different types and colors of stones. The choices of stones range from semi-precious, precious, cutting stones, and diamonds. As our team have more than 25 years of experience in jewellery manufacturing, we are determined to continue and delivery products with precise craftsmanship and premium quality. 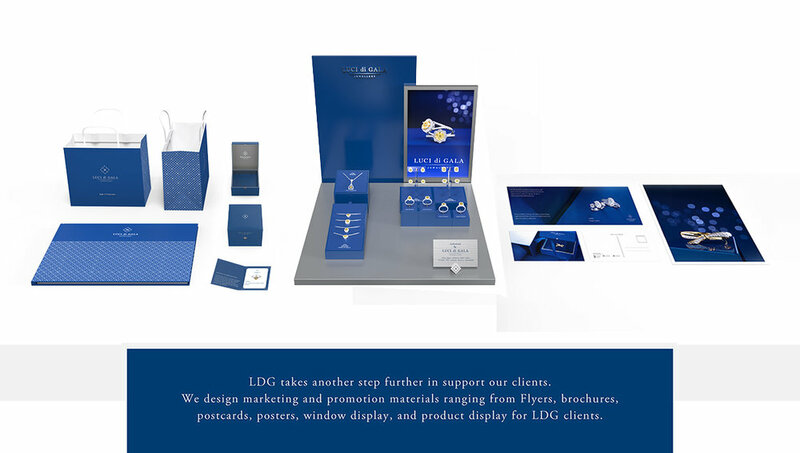 LDG is proud to announce that we have an international team of designers from all around the world to do in-depth research, develop, and design collections for specific regions and markets for our value clients. 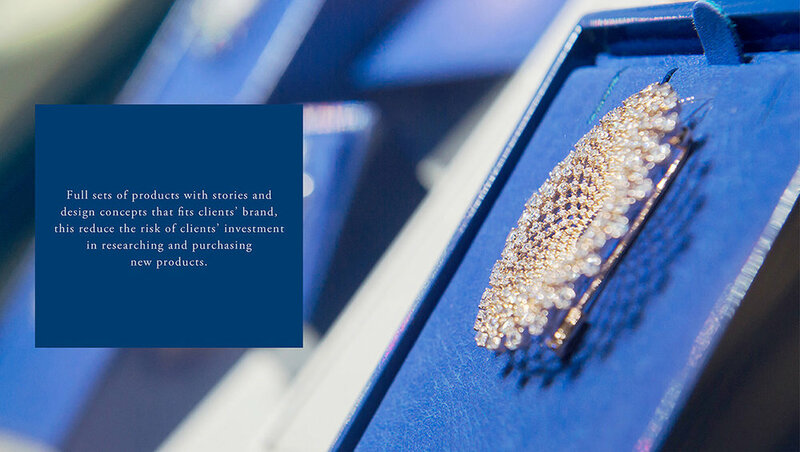 As our mission is to be the best supplier for our value clients, we hope to not only provide one of the top quality craftsmanship of jewellery but also the all around services that will enhance the products. We have set up a team with designers and marketing professionals from all over the world to design and provide market-ready materials for our clients that will allow the products to enter the market with shorter delivery time, more prepared marketing, and well developed collections. We are determined to provide more design and marketing services as we believe this will only bring in more successful business for both our clients and our relationship as a quality manufacture.